In the Aftermath : After 50 Years of Youth & Community Education in Glasgow, what does the future hold? A conference celebrating 50 years of professional education in youth work and community education at Jordanhill, Glasgow and the practice’s impact and contribution to the positive development of community life. We live in interesting times. What does another five years of Conservative government mean for our sector? What is the consequence for young people and for youth work of the very different election outcomes for Scotland and the rest of UK? No better place to talk about this than Glasgow. 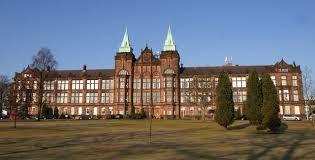 In the aftermath of the election, the Strathclyde/Jordanhill conference represents an opportunity to start to map this very different landscape. Alongside parallel sessions and the presentation of papers (some of which we hope will address these issues) we have added an ‘open mic’ option alongside parallel workshop sessions. Previous In the Aftermath : ChooseYouth launches campaign of pressure on MPs – If you don’t fight, you won’t win!